Joal Derse Dauer thought she was just donating blankets at a local no-kill shelter in April 2012 when a disabled and despondent dog caught her eye. With three “fur babies” already at home, Joal wasn’t looking to adopt another dog, but there was something special about Sadie, a shepherd mix who had been shot in the head and in the back and left for dead in the hills of Kentucky after delivering a litter of puppies. One gaze into those sorrowful eyes and Joal vowed to do everything possible to get this beautiful girl walking again. Today, Joal and Sadie spread their message of compassion, acceptance, and kindness around the world. 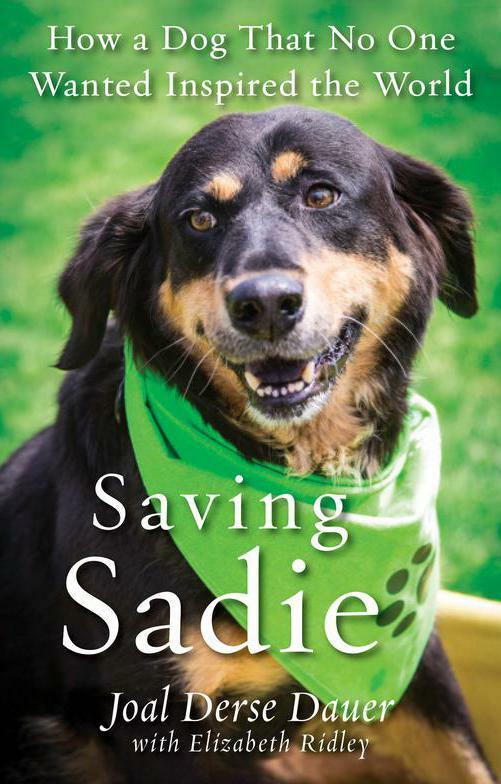 Saving Sadie: How a Dog That No One Wanted Inspired the World, written by Joal and coauthor Elizabeth Ridley, is a triumphant story about the power of unconditional love and second chances—for humans and animals alike.